Great to learn more about you Jennifer. I love the I spy quilt. That is such a clever idea to add the pocket! What an awesome idea - love the little magnifying glass! Such a fun project, I love the little magnifying glass pocket! Water soluble pens make me so nervous. I had a project the other day where I thought I had gotten the marks out, but they reappeared after ironing! Good luck on your move! Looks good sp far - I lveo I-Spy quilts!! I'm going to check out the pdf now. From a fellow Blog-hopper! Love I Spy quilts and love the pocket in it for a magnifying glass! Great idea! How fun! So fun to read more about you. Your move sounds so exciting! I love your Quilt! I'd be interested in the swap!! Hawaii! lucky girl. 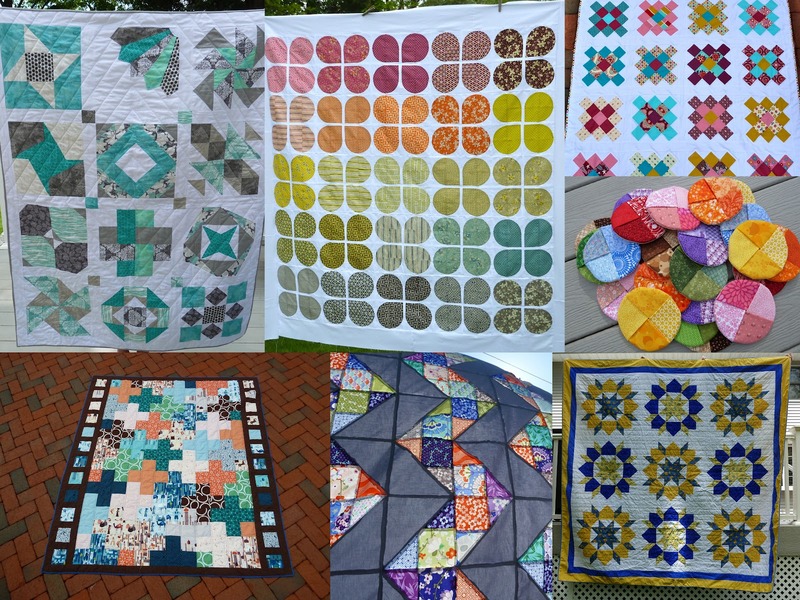 love all your quilts. Okay, I'm not going to play in the swap, but fun idea for the magnifying glass. As for going crazy looking at stats, I totally agree... oh look, I have more followers than you bwhahahaha ;o) Heh, just kidding, no idea if I do or not. OMG, I cant even imagine getting the opportunity to move to Hawaii. Love the idea for the pocket. OOOH! I love this! So cute! A swap would be fun, and I think I could do it. Could you send me the info? Thanks! Jennifer, this is such a darling idea! My girls love I-Spy quilts and magnifying glasses (they love playing detective), so this would be a big hit with them for sure. Great post today!! Such a great idea - nice to know more about you! Nice to "meet" you! Such a cute idea! I would be interested in the swap. I'm stopping over from the blog hop! What a cute idea, I would have never thought of that! Good luck with your move! I really like your zigzag quilt...especially how you took a picture of it! Hi Jennifer, nice to meet you. I really like your projects. Everything is very pretty. Goo luck with the move! I love the spy glass - and good luck with your move! The magnifying glass is a cute idea, and the quilt is darling. 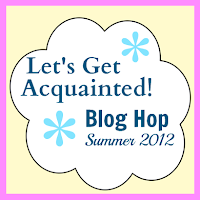 Glad to get to know you from the blog hop! That is a very clever idea of adding the magnifying glass to the whole I spy theme. Very cute quilt too! love the pocket idea! And glad to hear you now have a HERA!!!! And I'd love to participate in your swap! That is so so fun! I love the idea of a pocket! That swap sounds like so much fun! I'd love to join you! LOL! I'm definitely a Kate Spain addict myself. 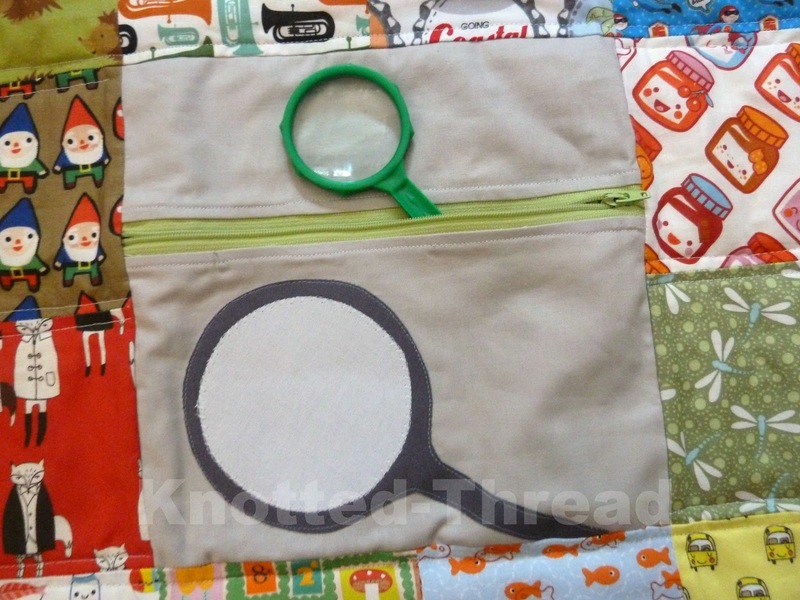 That I-Spy quilt with the magnifying glass pouch is too cute! That is a really cute idea to include a pouch for the magnifying glass! 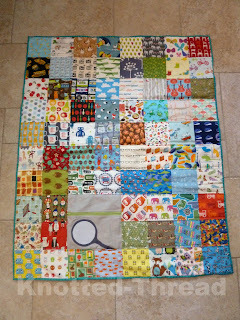 Love an I-Spy quilt! 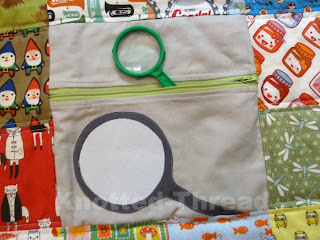 What a clever idea for the magnifying glass pocket! I really liked your favorite blogging tip - so true! I don't know where in Hawaii you are going, but maybe you could connect with oneshabbychick - one of my favorite bloggers! I believe she is in Oahu. Good luck with the move!! 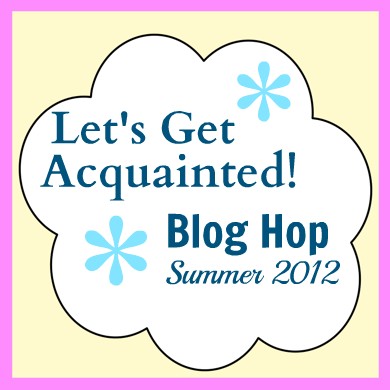 Just stopping by on the blog hop - nice to meet you. The pouch for the magnifying glass is a great idea. Cute quilt! I would love to join in an I-spy swap but am in the UK so not sure how that would work. That's really cool- my kids would love it! Hi, I came to your blog via the hop along. It's a lovely idea to add the magnifying glass. Am I too late to take part in your I spy swap? I'd like to have a go, I haven't taken part in a swap before. Stopping by from the blog hop - nice to meet you! I love the retro flowers quilt -- all of the quilts in that mosaic are lovely, really. Hi Jennifer, nice to meet you. I'm a bit late catching up with everyone's posts. You've done a lot of nice work in a short amount of time quilting. Good luck with the huge move. Wow thats a long move ur making. I hope all will go well and that u will settle in nicely in Hawaii. Happy travels. Nice to meet you - the magnifying glass pocket if genius! Am I too late for the I-spy sign up? ?